Vance Level community is sold out and is not in active development by builder. If you are interested in Vance Level or similar new home communities, contact us today! 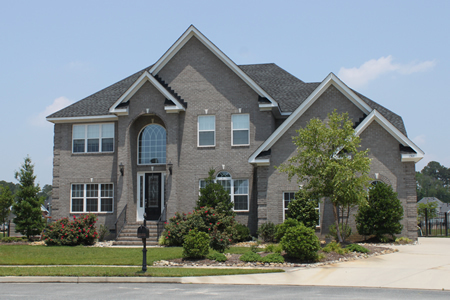 Our agents are very familiar with new and newer construction in Chesapeake, and can identify resale opportunities in Vance Level, as well as builder inventory available in nearby or similar communities in Chesapeake. To view 10 more pictures, interactive maps and the full, detailed description of the Vance Level community, please Login. When building a new home or looking for houses for sale, Vance Level is real estate done right. With 84 home sites in total, this development has enough room for even more homebuyers. Tucked into a small hideaway in the Greenbrier section of Chesapeake, VA, these homes have the prime location. Residents can also access the Coast Guard Exchange and military bases like Norfolk Naval Shipyard, Naval Medical Center Portsmouth and NAS Oceana without delay. If buyers want to begin building a home after a lot is selected, they can work with a builder. Houses for sale are available for those who don’t want to wait. A home in Vance Level may include all brick exterior, landscaping package, vapor barrier inside crawl space, 30-year architectural shingles, steel reinforced foundation and more. Real estate standards are taken to a new level here. Choosing which type of real estate in Hampton Roads to purchase can be tricky. Houses for sale may be somewhat customized here to meet individual preferences. It may be more prudent to think in terms of building a new home so more decisions lie within the homebuyer’s hands. Each new home in Vance Level may feature all copper plumbing, garage door opener with remote, vented gas fireplace with gas logs, hardwood flooring, chair rail, tray ceilings, two-story foyer, built-in toilet paper holder and towel bars, Kohler porcelain kitchen sink, kitchen island, Jacuzzi, multi-zone heating system, finished room over garage, attic fan and much more. The Greenbrier area of Chesapeake is not only exciting but ever-changing. Virginia residents are lucky to have access to this hot spot. Mom, Dad and the kids can stay in shape together at the Greenbrier Family YMCA. The Greenbrier Country Club offers a challenging golf course for those wanting to tee up. The Greenbrier Mall and Greenbrier Shopping Center are filled with shops, entertainment and restaurants. While houses for sale may come on the market everyday, homes like these do not. Building a home can be a start of a new adventure but so can buying a new construction house. Vance Level- when you’re ready to step up to the next level in real estate. Send me more information about communities similar to Vance Level. Our agents gladly offer FREE property tours of Vance Level, Chesapeake and homebuyer consultations to all serious buyers.